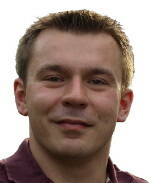 Born and raised in Steszew, I graduated from Poznan University of Technology with a master of science degree in Computer Science in 2007 and have been working on software development projects since. When not enchanting software to run flawlessly, I enjoy (offline) socialising and cycling. I'm also pretty attached to my two main time consumers: Kindle & PS3. Technical team leader, responsible for gathering requirements, design and implementation supervision. JEE 7, Oracle Coherence, Spring Framework. Created a message-driven data exchange system for the integration of Roche's heterogeneous systems. Member of a software development team responsible for creating CMS system architecture using Adobe's Communique 5 platform including OSGI and Velocity-based solutions for customizable mailing. Liaised with clients and content managers to create a coherent solution within the time schedule. Successfully applied good software creation, test, release and maintenance practices acquired when working in large scale systems. Worked as a part of a UK-based development team, gained experience and practice in outsourcing. Began work as a developer, promoted to a Team Lead role. Participated in remote planning and task estimation sessions as a team leader of the Polish group. Implemented Maven profile-based code to minimize code redundancy while still creating a client-specific output including different work flows. Conducted interviews with technical developers, evaluated candidates and took part in employment decision-making. Implemented security mechanisms to prevent XSS attacks. JEE 5, Hibernate 3, Spring 3, Eclipse 3, Maven 2. Development and management of development teams creating enterprise Java software for the banking sector. Participated in the creation of the software requirements analysis and managed a team of 5 developers creating a multi-tier life insurance product. Scheduled and supervised the work in progress, liaised with the clients to ensure a smooth flow of information. Responsible for the quality of the end-product. Redesigned, coded and supervised the software architecture that allowed for using the existing claims system in a new project by inheriting and extending core modules while removing performance bottleneck by implementing a distributable thin client solution. Promoted to the position of the Project Manager when supervising three projects in maintenance phase. Reorganized the support flow, negotiated software release delivery with clients, motivated co-workers and reduced lead time and a growing queue of pending issues to meet the deadline set out in the contract. JEE5, ComarchESB, Spring, GWT 1.4, Jboss 4, Oracle DB, Hibernate 3. Development of banking software solutions. Implemented a non-life insurance solution for a bank. Provided test-driven development and basic application servers configuration. Promoted to Team Leader for a new life insurance project. JEE 5, Tomcat 5, WASCE, Apache HTTP Server, Eclipse. Began work as a last year student, continued after graduation. Participated in the creation of Public Information Bulletin as a Junior Software Developer,. Implemented documents management software for the Polish public service as a Software Developer,. J2EE 1.4, Struts 1, JSP, Eclipse, XSLT, CVS. Go ahead and contact me using contact form or the information on the profile page.